A blonde bought a brand new car and decided to drive down from some place far off, to meet this friend. She reached there in a few hours. After spending a few days there, she decided to return, and called up her mother to expect her in the evening. But she didn't reach home in the evening and not the next day either. When she finally reached home on the third day, her distraught mother ran and asked her what happened? 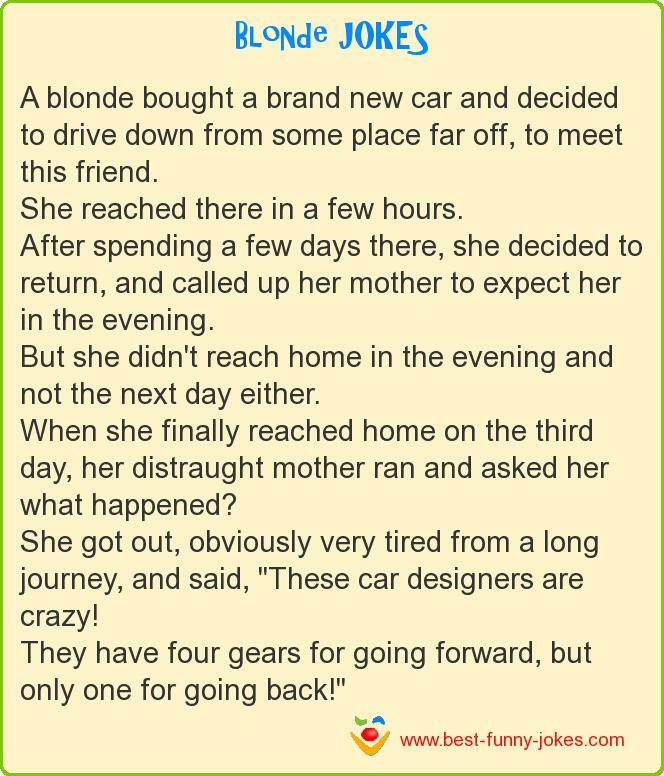 She got out, obviously very tired from a long journey, and said, "These car designers are crazy! They have four gears for going forward, but only one for going back!"